Photography is all about conveying a sense of place, emotion, storytelling, etc. I love this shot as it almost immediately suggests some mystique and a story. Curious to hear your reactions to the image – taken in the Portsmouth Harbor Lighthouse. 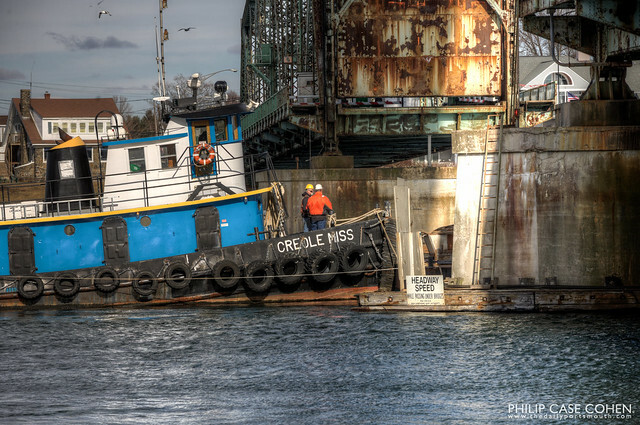 The Creole Miss of Riverside and Pickering Marine is working on the early demolition of the Memorial Bridge on a sunny winter afternoon. This view will be an ever changing scene for the next year and a half…and this site provides an opportunity to watch it all unfold: http://www.portsmouthwebcam.com/index.php/memorial-bridge/ – I highly recommend watching the time lapse of the day’s activity. Looking forward to documenting the evolution of the bridge’s demise and reconstruction. I’ve always loved the historic character of the Sheafe Warehouse and its cedar shake siding. This little sea gull apparently felt the same way – enjoying the waterfront view from the top of the old building. With Portsmouth’s bridges being one of the most talked about items of the past few years, I thought I’d take a moment to feature them from a different angle. Often – I take for granted that Maine probably has the best view of Portsmouth, from the various shorelines in Kittery. 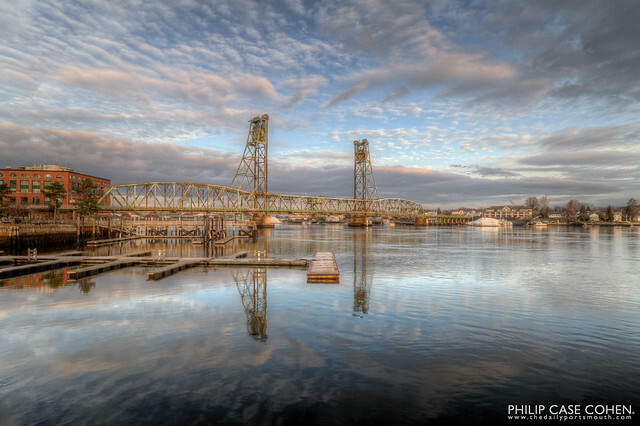 I’ve shot the three bridges before, from Peirce Island, but this vantage point from the other side of the river provides a glimpse of the Piscataqua River Bridge (high-level), the Middle Bridge, with the Memorial Bridge in the far distance. Once the new bridge has been constructed, it will look more like the Middle Bridge’s twin. The shot isn’t overly dramatic, just a nice peaceful glimpse of the river…so I hope to be back with some more outrageous sky conditions someday. The North End of Portsmouth was once filled with residential homes. That once upon a time was a long time ago – and in the place of the once bustling neighborhood – a new development has taken shape. Portwalk Place is well underway, with its first two phases complete. 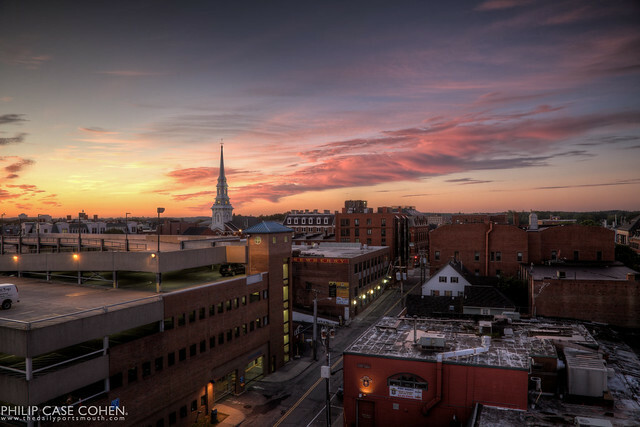 This sunrise was taken from the rooftop of the Residences at Portwalk building, looking back towards Market Square. The cloud formation rolling in past the North Church was amazing and a nice treat on an early morning.